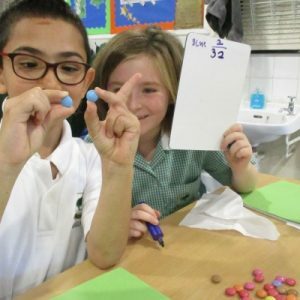 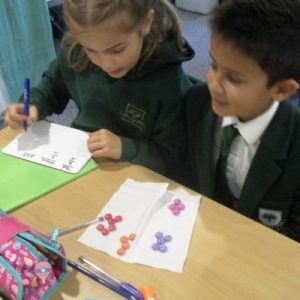 Oaklands School / News / News / Smarties Fractions! 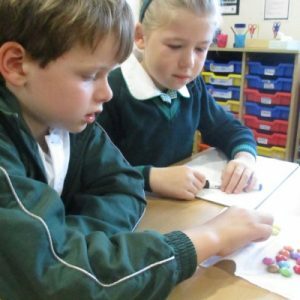 Year 3L Maths set got to enjoy a chocolatey fraction challenge on Tuesday. 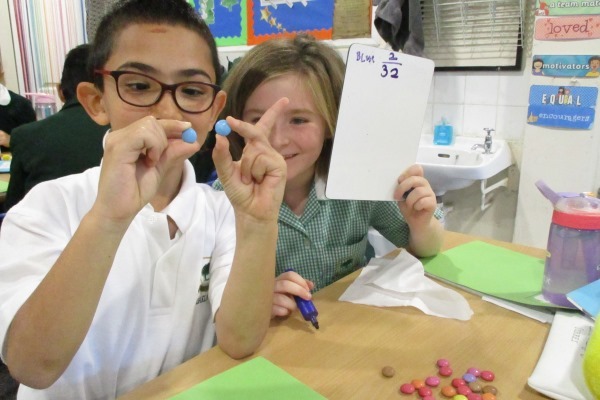 They used chocolate Smarties to calculate the fraction of each colour in the pack. 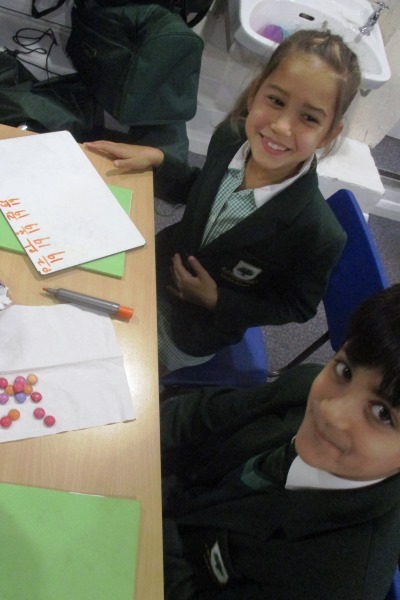 In pairs children counted and used mathematical vocabulary to identify the correct denominator and numerator. 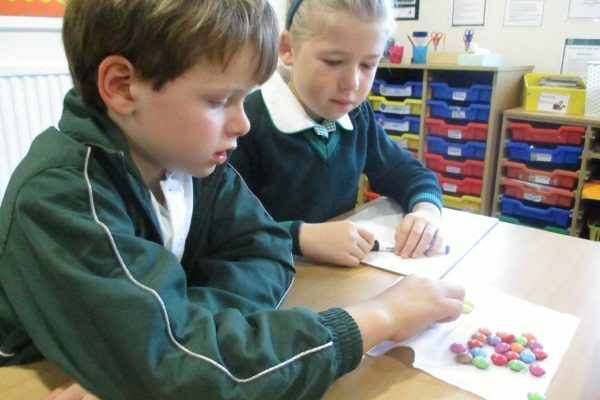 As the lesson went on, the class were asked to start eating certain colours. 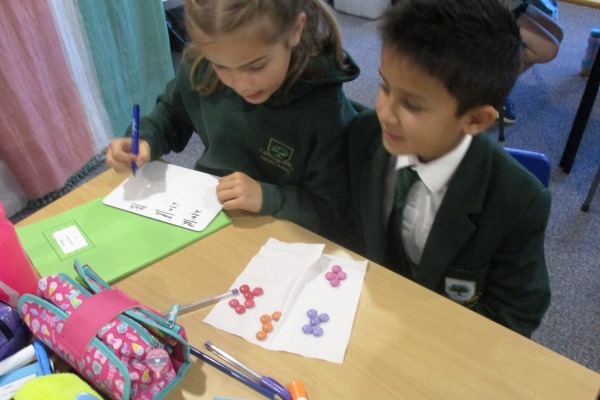 They had to recalculate their denominator and record the remaining fraction of each colour. 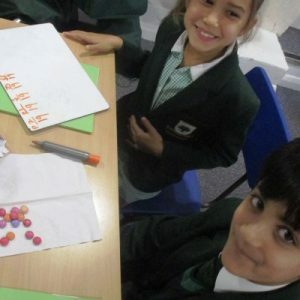 A fun and tasty lesson was had by all.